I have made a pattern. I think. 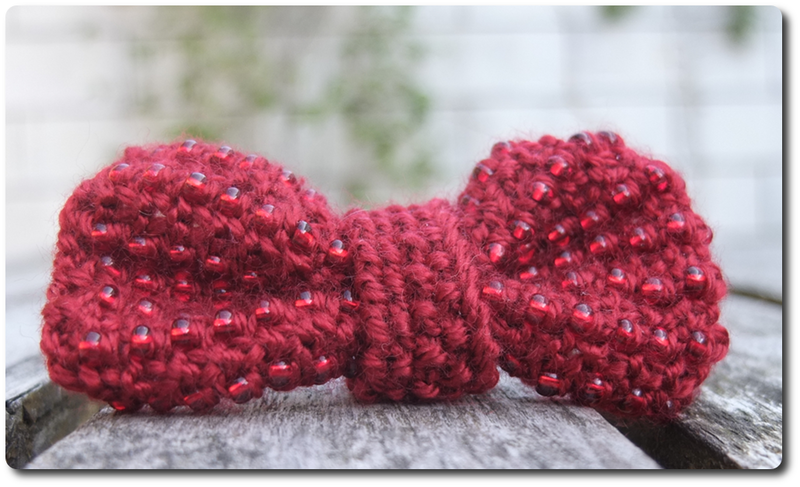 It is quite simple, a little bow. But it's a start and we all know it: bow ties are cool. Apparently the plan of using red yarns worked. I just sat down and forced myself to come up with something to make with one of my red skeins and this is what happened. 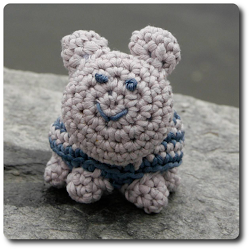 After making the first one, I made another with another yarn. I put a pin back one the first one, and a hair bow back on the other one, and they both work equally well. I put the pin back under the "belt" across the middle so it would sit better on clothing and not be all floppy. That wasn't a problem with the hair bow, though. 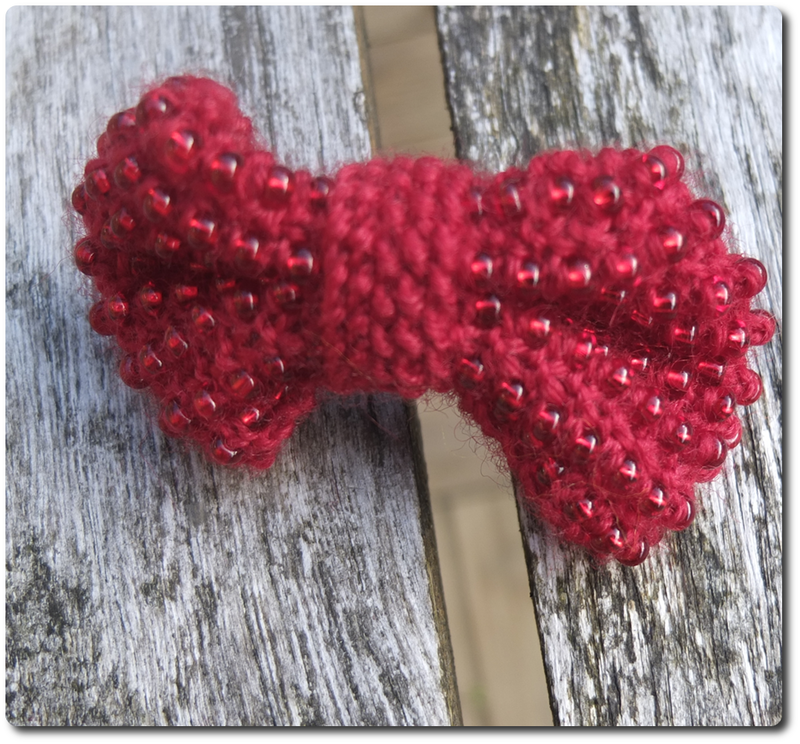 I used light wool yarns to make both bows, and all the other details are in the pattern. It's a quick little project, if you should want to make one. 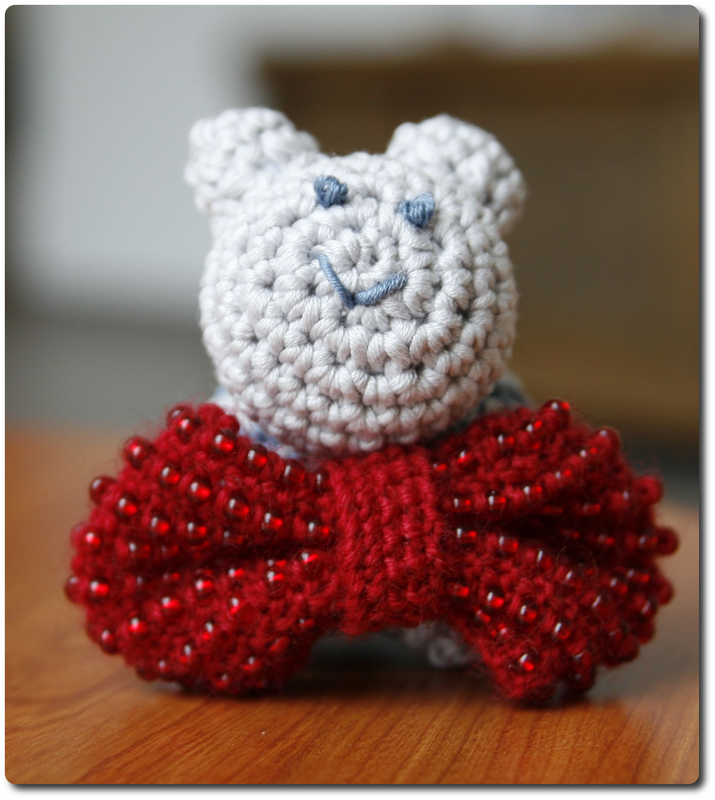 And my little monster does look cool with a bow tie. 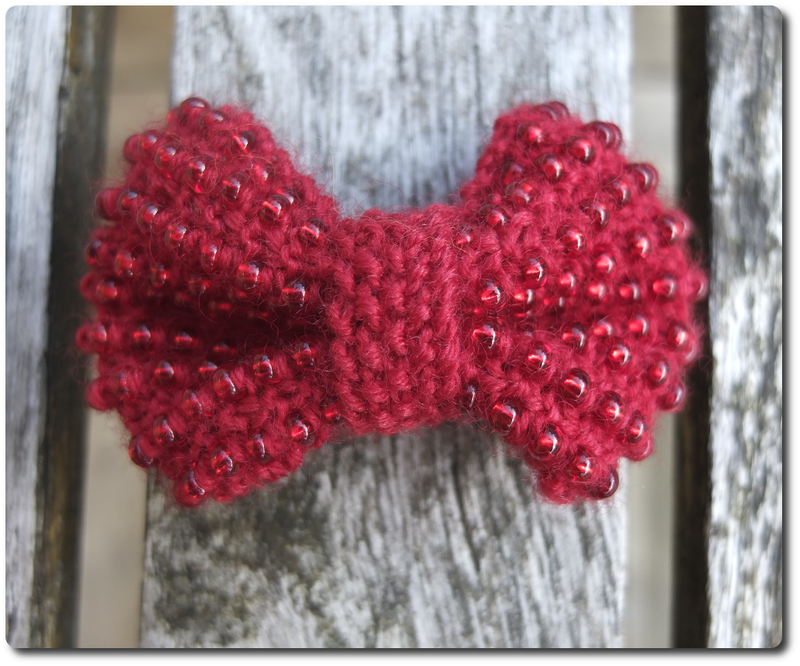 Please tell me how the pattern works, if you make one of these bows.